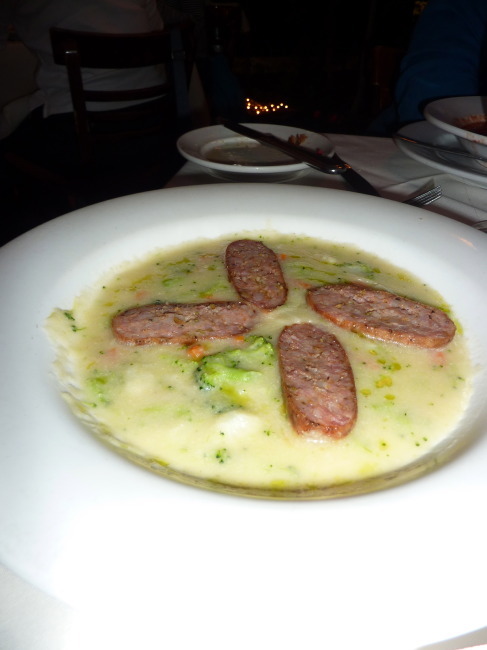 Since the below report, we have visited Celestino Ristorante on numerous occasions, and it has rarely disappointed – only one bad dish in all our ordering. I have upped the rating to a 4.3 out of 5 from the 3.7 I initially gave it. 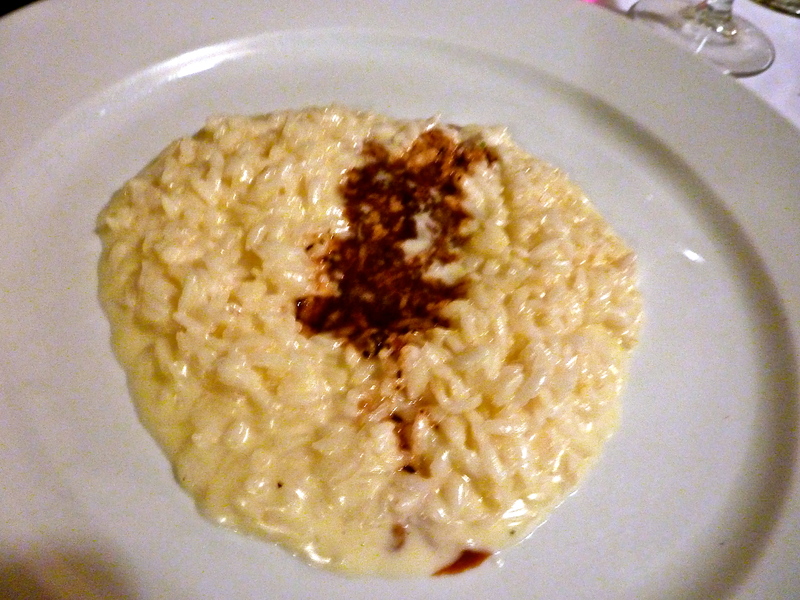 Some of our favorite dishes include a Risotto all’Aceto Balsamico Invecchiato e Rosmarino (Risotto with aged Balsamic Vinegar and Rosemary) for $14, Filet mignon with Barolo Wine with Timbale of Roasted Potatoes ($23.50) and the seafood risotto with lobster sauce (if it’s not on the menu, they will make it for you). 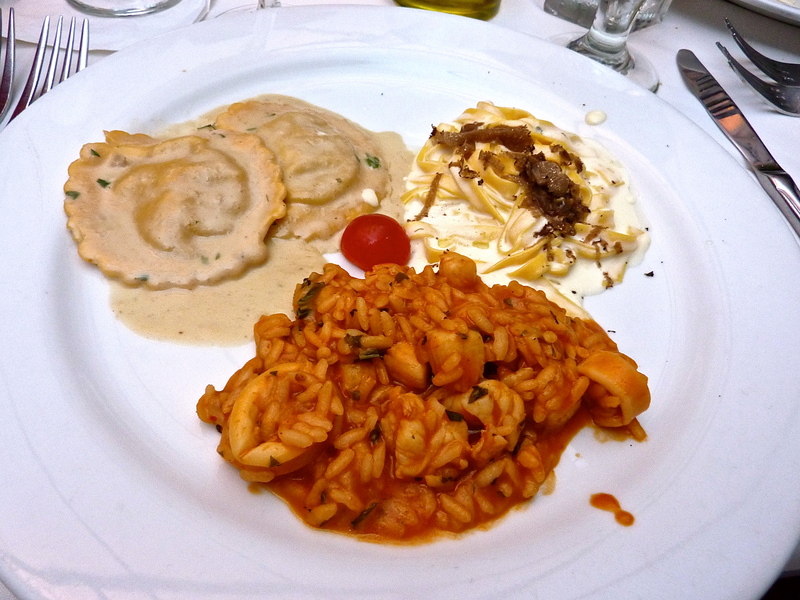 The other night we had a special Pasta sampler for an appetizer: It consisted of Housemade fettuccini with truffles; ravioli stuffed with filet mignon; seafood risotto (calamari and shrimp in tomato-based broth) for $16/person. Excellent!! 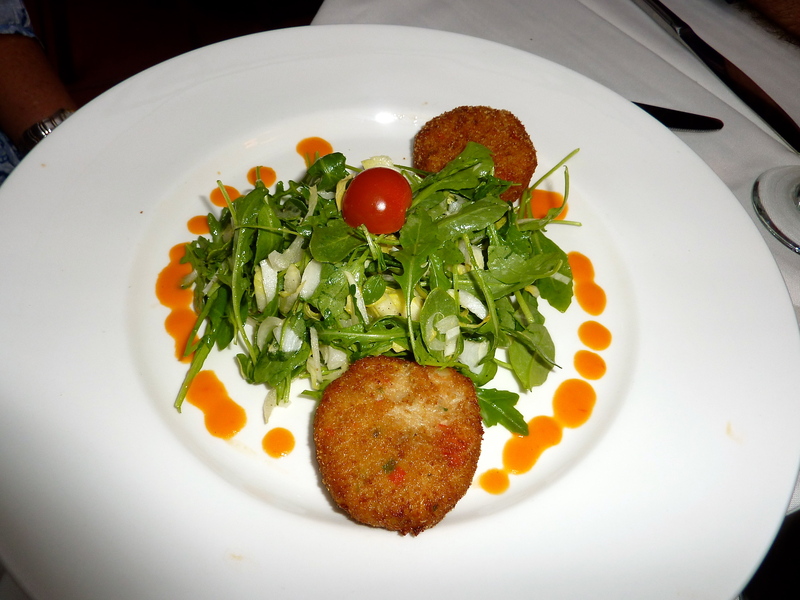 We’ve also enjoyed Celestino’s crab cakes. If they have it, try their scrumptious frozen Limoncello dessert with fresh strawberries. 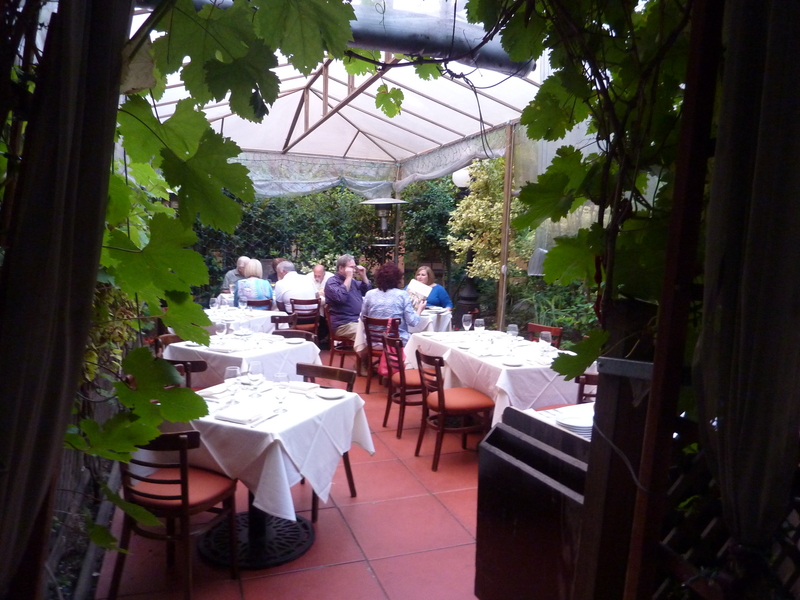 (from 2012) On nice nights (which is just about any night in Pasadena), I recommend sitting at their outdoor patio. 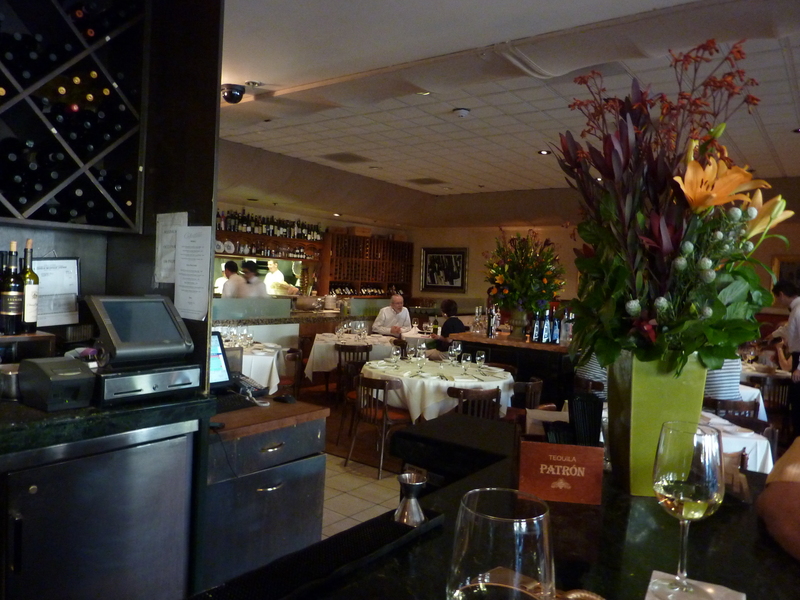 It is less noisy than the main dining room (although I like the vibe in there with its open kitchen. 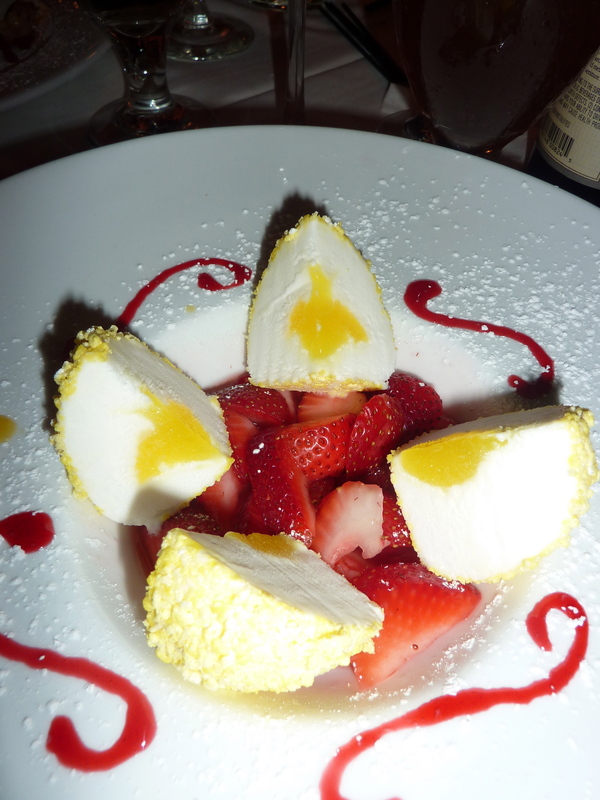 Celestino Ristorante remains one of our favorites! Mary and Kim made one of their visits to Pasadena (well, they see a lot of us in Europe and other exotic locales, too), so we decided to go to one of our old familiar haunts in Pasadena; Celestino Ristorante. We have gone here for many years, and there may well be finer Italian restaurants, but this one serves up a pretty consistent fare year in and year out. We had brought our own vino (ten buck corkage), so we perused Il Menu. 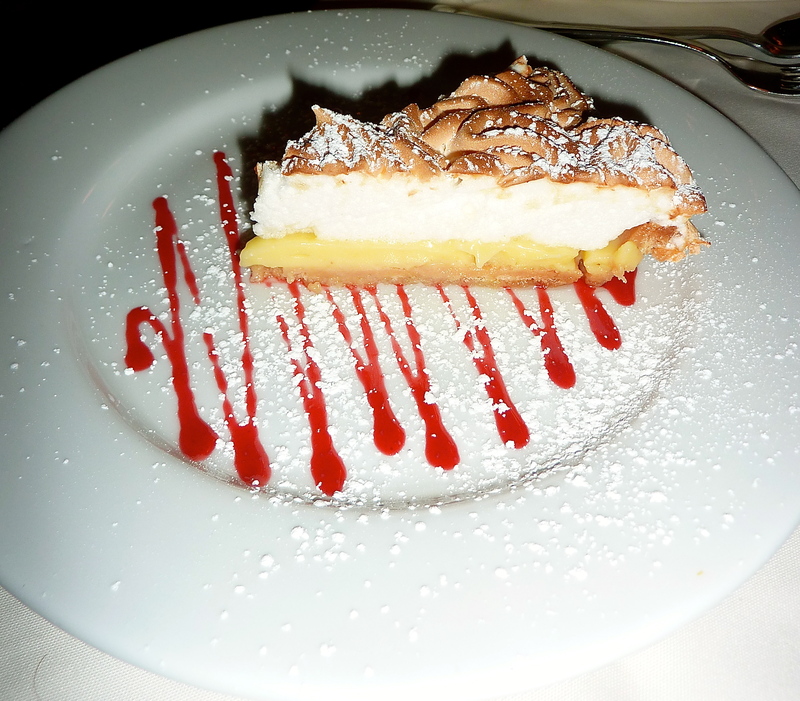 Celestino’s offers many great choices. 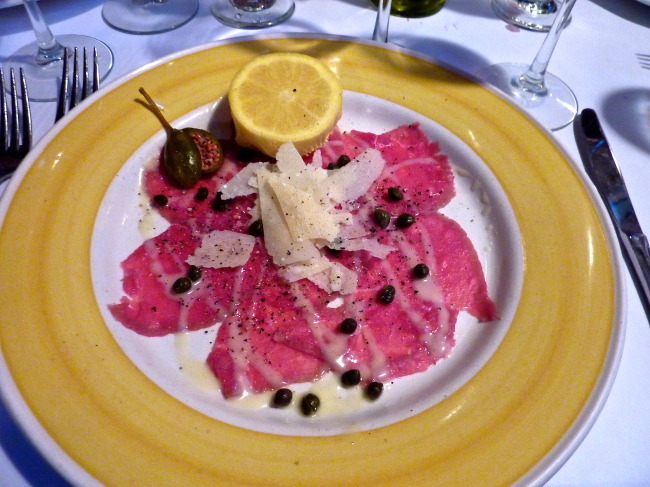 My choice under Gli Antipasti was Carpaccio di Bue con Parmigiano e Capperi, the Beef Carpaccio with Capers and Parmesan Cheese ($11.00). It was very, very good. 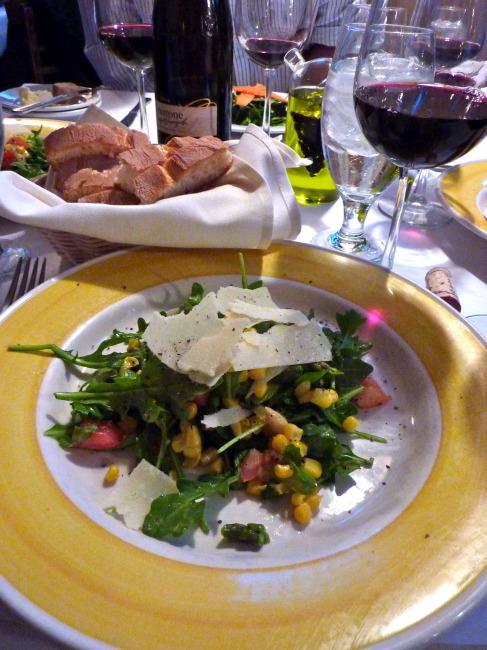 The rest of the group opted for salads. Mary and Tracy had the special Arugula Salad with baby artichokes and corn, topped by shaved parmesan cheese ($8.00), while Kim had the Insalata di Lattughe Miste, a Baby Mixed Green Salad ($6.00). It was now Carne e Pesce time. Mary and Kim both went for specials. 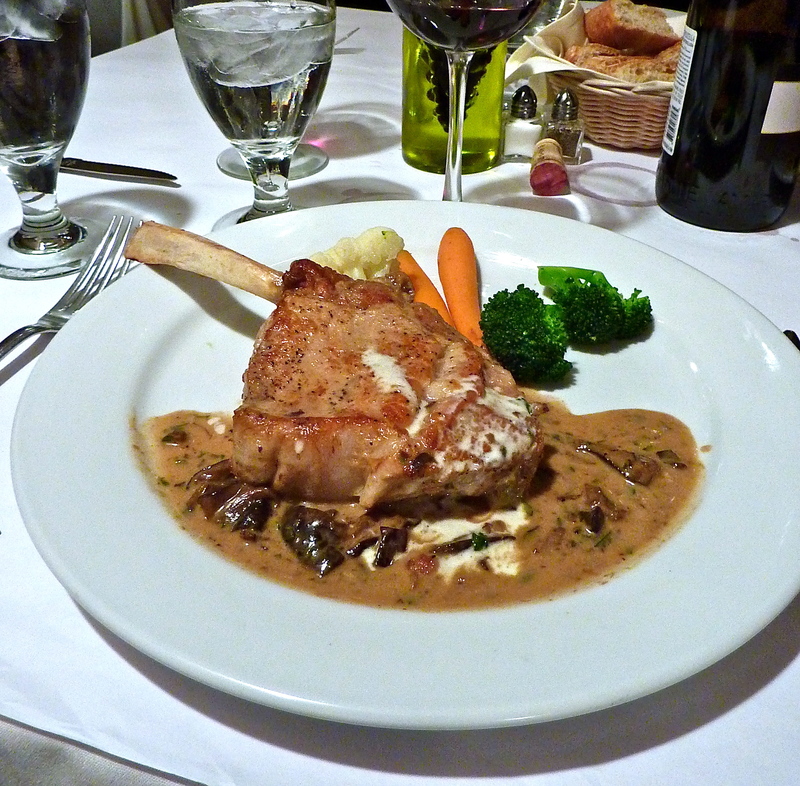 Kim had a fantastic looking, and as it turned out, a fantastic tasting stuffed Veal Chop with Mushroom Sauce, while Mary had the special Grilled Salmon (both entrees were in the mid 20 buck range). 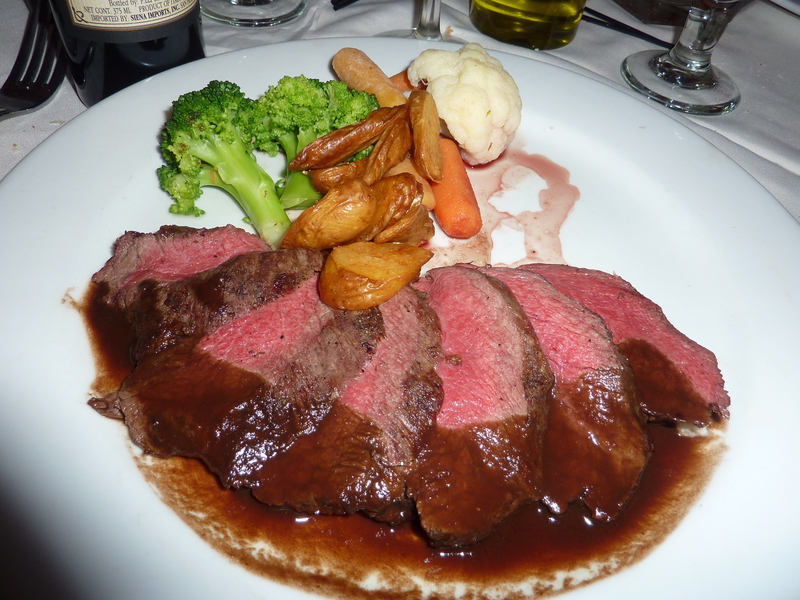 In a rare move, Tracy decided to try the Roasted Pork Tenderloin, while I had the Filetto di Bue al Barolo e Porro con Patate Arrosto, Filet Mignon with Barolo Wine and Leeks with Timbale of Roasted Potatoes ($25.00). Everybody’s main course was terrific, but all of us were disappointed with the vegetables that accompanied the dishes (well, not me so much as I am a carnivore at heart). 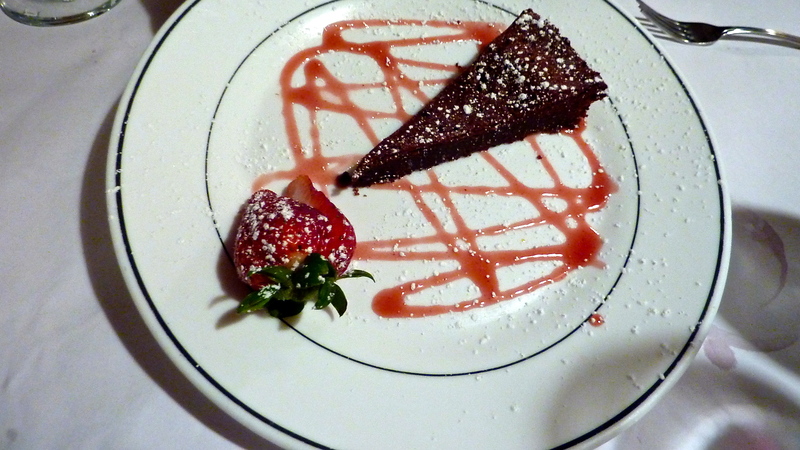 We were stuffed, and although we turned down dessert, our waiter brought over a piece of Flourless Chocolate Cake drizzled with Raspberry Sauce. Somehow, we managed to consume it quickly. Celestino Ristorante receives a 4.0 rating for food (would have been higher had it not been for the woeful vegetable presentation), 3.5 for value and a 3.5 for atmosphere (it’s nicer to sit inside where the action is happening). 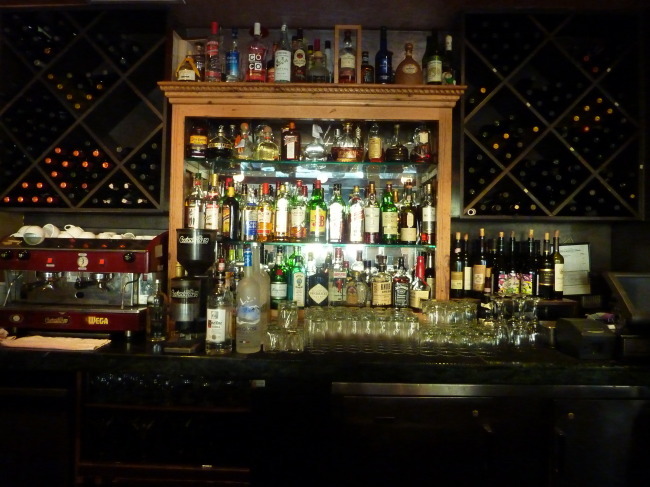 We have always had excellent service here. There are always a plethora of good, new Italian restaurants to seek out, but sometimes you just want to make sure you have a nice meal, and Celestino Ristorante has always come through for us. Dinner: Monday – Thursday : 5:30 – 10:00 p.m.
Friday – Saturday: 5:30 – 11:00 p.m.